Decision day is fast approaching for Jarryd Hayne with St George Illawarra returning to full pre-season training on Monday. One way or another, the Dragons would like to know at some stage next week if the two-time Dally M Medal winner wants in with them for 2019. The Dragons are adamant they are not attempting to push young fullback Matt Dufty out of the club to sign Hayne. Rather, the Dragons' interest was sparked as a direct result of utility back Kurt Mann's request for a release. 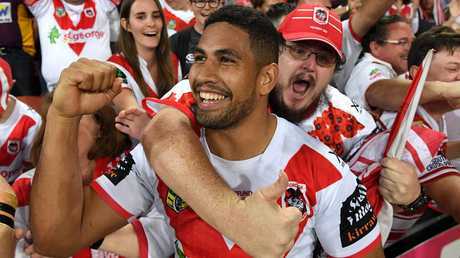 Mann has an option to link with Newcastle where he believes he has a better chance of nailing down a starting spot and the Dragons are open to the move providing they can find a suitable player to fill the spot available on their roster. And they make no secret of the fact Hayne could be that man. The Daily Telegraph can reveal that both head coach Paul McGregor and recruitment boss Ian Millward have both spoken with Hayne about the possibility and have been hugely impressed with Hayne's attitude and football intelligence. 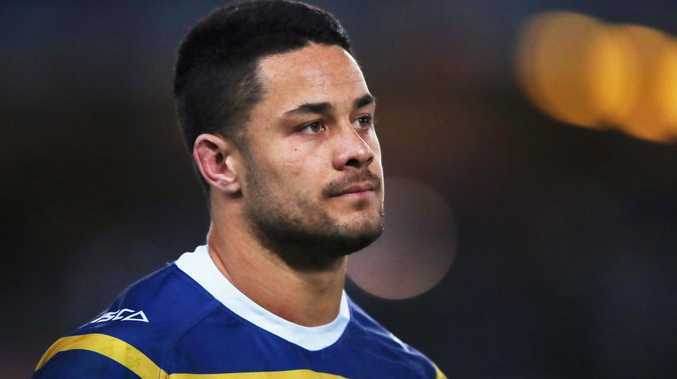 The decision Hayne now has to make is if he wants to stick it out and see if Parramatta can come up with the money to make him a serious offer, or join the Dragons where he will be a part of a squad that is a legitimate premiership threat. While Hayne has achieved pretty much every individual goal on offer in the game, they one thing he has never done is win an NRL title and the reality is time is running out for him to do that. The Dragons are prepared to be patient but they would still like to know sooner rather than later so they can also give Mann clarity about his future, given Mann's release hinges on the club finding a suitable replacement. It's no secret Hayne's first priority is to stay at Parramatta but as it stands the Eels just don't have the money in their salary cap to make Hayne a genuine offer. It has been reported Hayne is chasing a deal worth about $700,000 a season but unless Parramatta can offload a top shelf player they just can't fit him in. Adding to the Eels' dilemma, the chances of offloading Michael Jennings to Newcastle now appear less likely following Hymel Hunt's decision to move to the Knights. 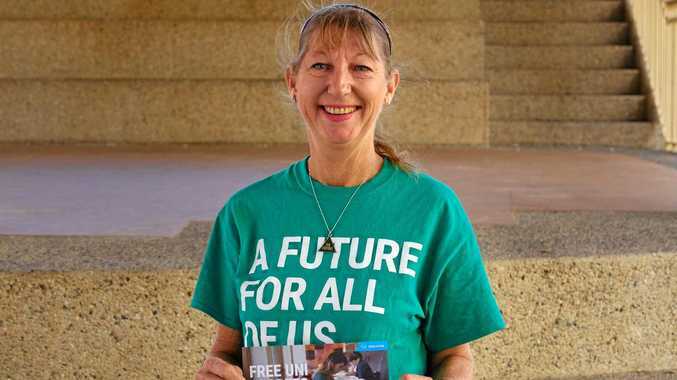 While the Dragons are somewhat short of the money Hayne is chasing, they are a lot closer to the ballpark and they are also open to making the deal longer than just the one year. 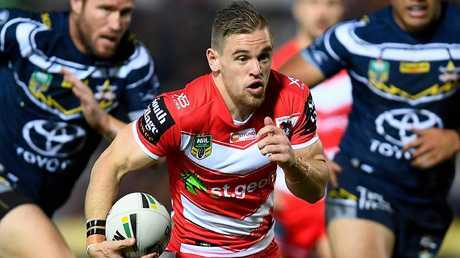 Understandably, speculation about Hayne's possible link with the Dragons has caused Dufty some anxious moments but the club do not want to push the 22-year-old out to make way Hayne. There were some questions raised about Dufty late in the season but the way he bounced back to form against Newcastle in the final round earned plenty of praise from within. No doubt if Hayne does go to the Dragons it will put added pressure on Dufty to keep hold of the No 1 jumper but ultimately it will come down to who plays the best football next year. Hayne would also be ideal playing wing or centre and given the Dragons have lost both Jason Nightingale (retirement) and Nene Macdonald (North Queensland) Hayne would be the perfect fit. As good as Hayne would be for the Dragons, they also believe the culture within their playing group would have a positive impact on Hayne.